Well, here it is. My finished (aside from blocking) Carbeth Cardigan. It's certainly a quick project, with a cast-on date of 2nd May, and a complete finish date of 30th of May. And I obviously didn't work on it every single day. This is the first chunky garment knit I've ever done, and I'm really happy with it. It's comfortable to wear and keeps me nice and warm, with the collar acting like a built-in scarf when you button it up. The yarn combination I used turned out just the way I pictured it. 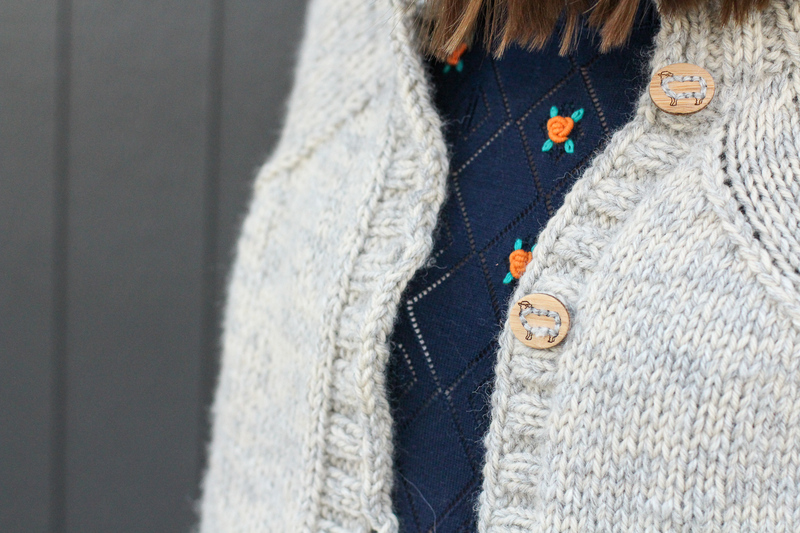 The merino is keeping the cardigan sturdy, and the alpaca is adding an extra layer of warmth. It's a soft combination, too, that feels lovely against my skin. I will block this cardigan soon, I just haven't yet because it's cold and windy here and I've been enjoying wearing it. The button band will sit more nicely once blocked, at the moment it gets a little wobble in it when I button up the cardigan. But it doesn't bother me, and I'm sure no one even notices whether it's unblocked or not. I opted for stitchable sheep buttons to finish off my cardigan, and I'm very happy with how they look. 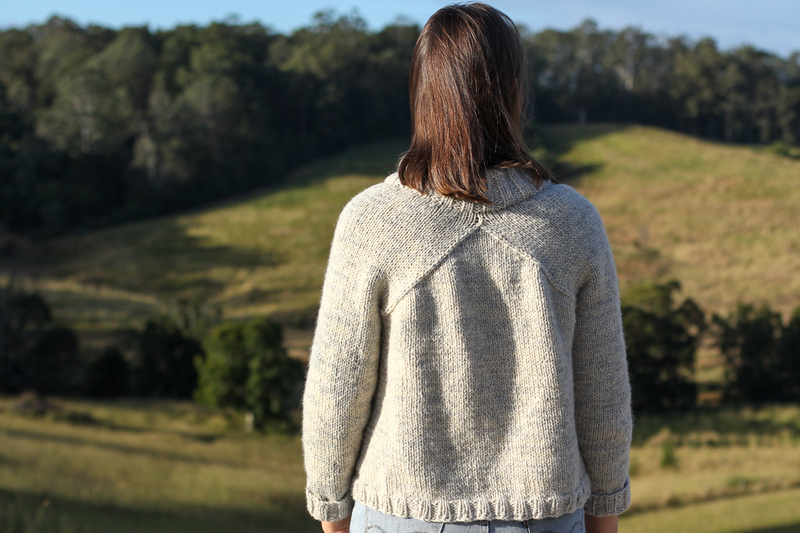 I love the way the shaping of the back of the cardigan becomes a detail across the shoulders at the back. 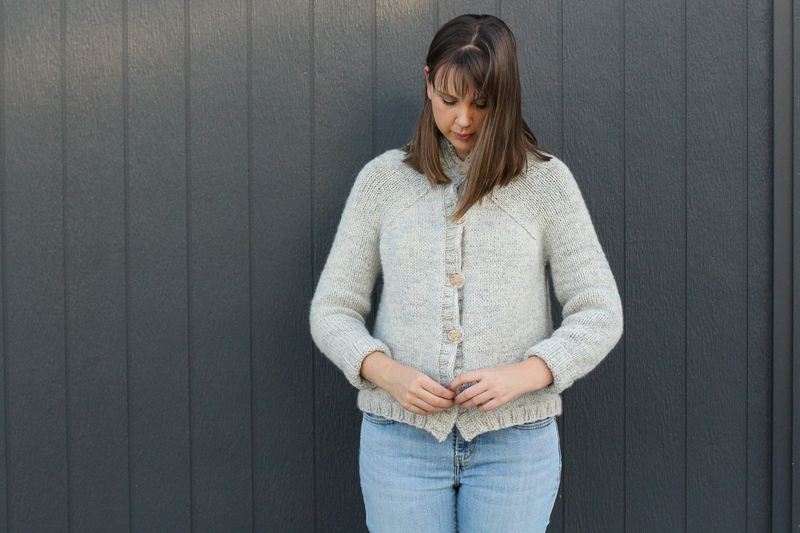 The shaping is mimicked at the front, and I'm really happy with how it makes the cardigan sit. This is supposed to be a cropped cardigan, but I lengthened mine a little. If I'd followed the measurements on the pattern, the finished cardigan would have been sitting somewhere on my ribs, which I thought would not only look a little silly on my build but also couldn't see the point of knitting something so thick and warm only to leave my back open to the cold. So I knitted the body a little bit longer before adding the sleeves on, and now the finished cardigan sits just on the top of my hips. This length keeps my back warm and gives the cardigan extra wearability as it sits well with both dresses and jeans. The pattern was fairly straightforward and easy to follow. I'd recommend it to advanced-beginner knitters and intermediates - even if you haven't tried some of the techniques before it's a good project to practise them on. The sleeves are knitted in the round and joined on to the body, there's picking up stitches and a three-needle-bind-off. If you haven't done those before, it's not as scary as it sounds. My only minor complaint is that the project gets a bit cumbersome as you near the end, with the entire piece sitting on your lap. But there's no way around that! What have you been knitting or making lately? Do you sometimes use your projects before blocking them, or do you always block first? My impatience gets the better of me sometimes, making me a mixture of both! 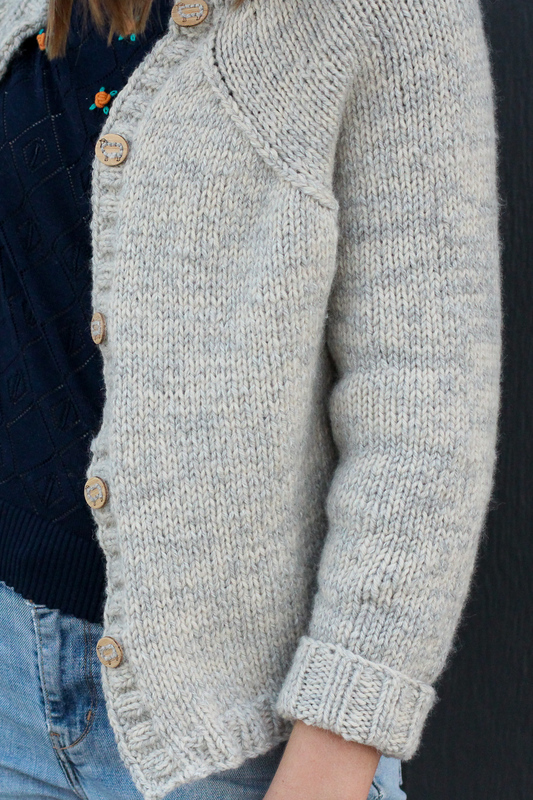 For previous posts about the making of this cardigan, and further details on yarn selection, see this post and this post. What is the availability of the pattern please? Thank you so much! It is super warm, just perfect. Very nice cardigan Sarah, it looks lovely on you. The length you knit is perfect much more suited to thicker yarns. Well done! I'm a sucker for a good cardi - I love the detail on the back and the higher neck. 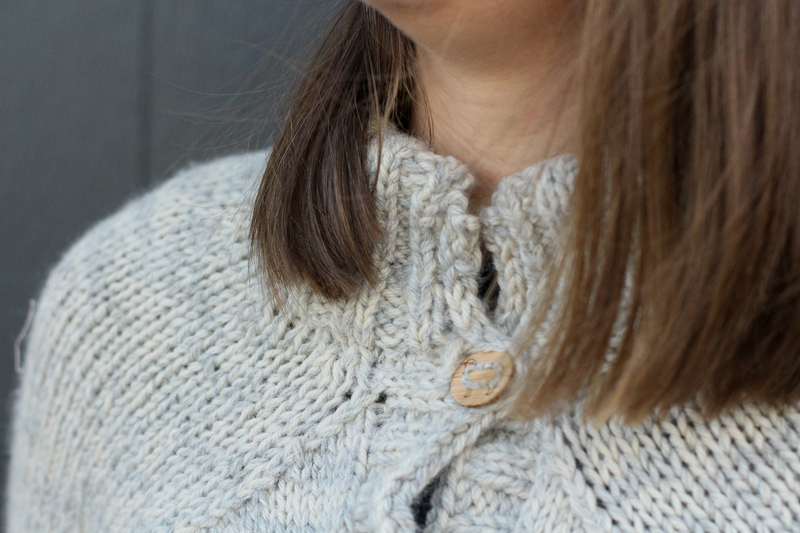 I'd love to be able to knit my own cardigans and jumpers one day - it's on the to do bucket list for sure. The detail on the back is my favourite part! It looks great, Sarah and love the sheep button So!